The Palram Automatic Vent Opener was designed to automatically control the temperature and humidity levels. 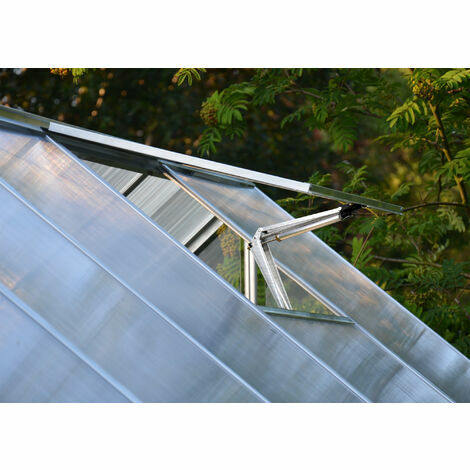 It provides additional ventilation for all Palram Greenhouses, making gardening easier. As the air inside the greenhouse warms, the vent gradually opens to allow the correct amount of airflow into the greenhouse until the optimal temperature is reached. The vent arm was designed with the use of wax that expands with heat and contracts when it cools. The Automatic Vent Opener operates without the use of electricity.